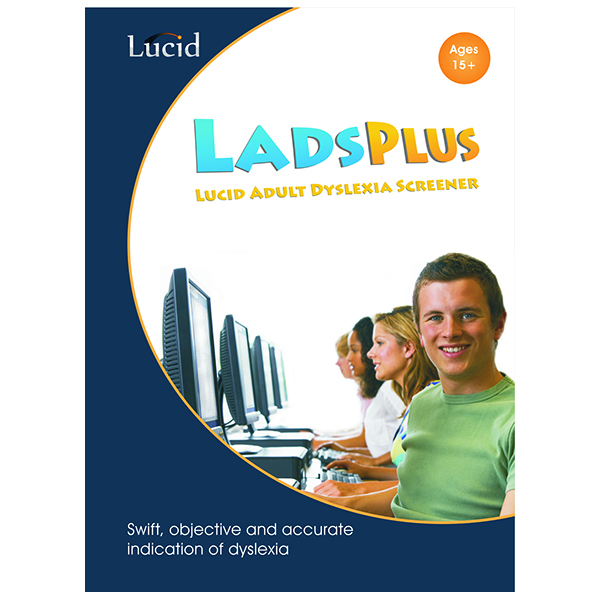 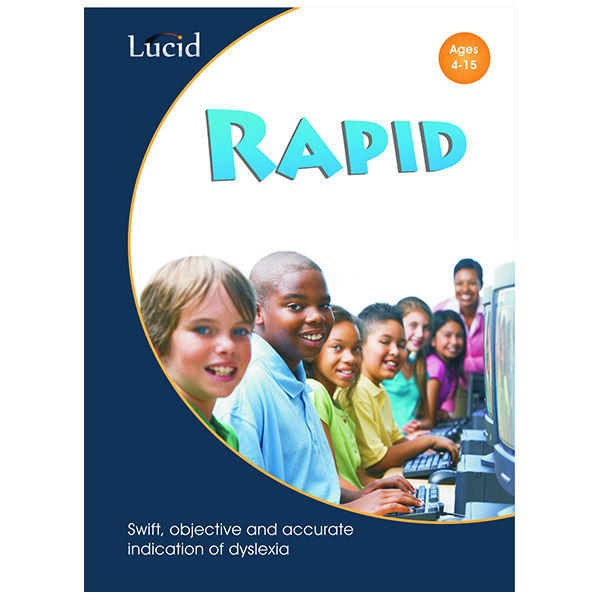 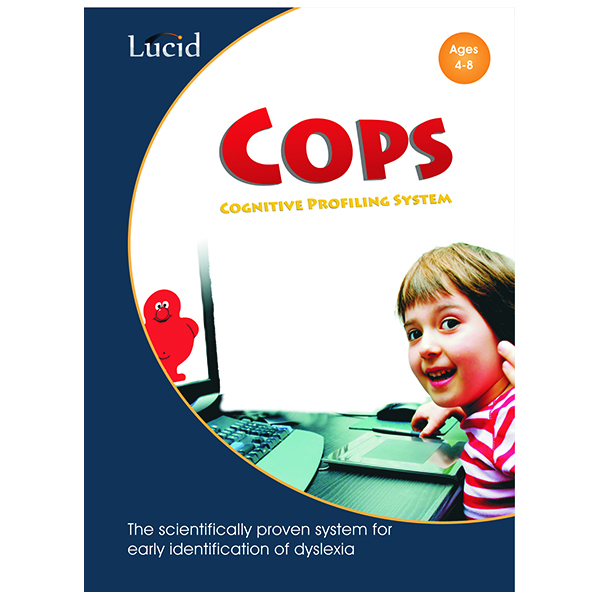 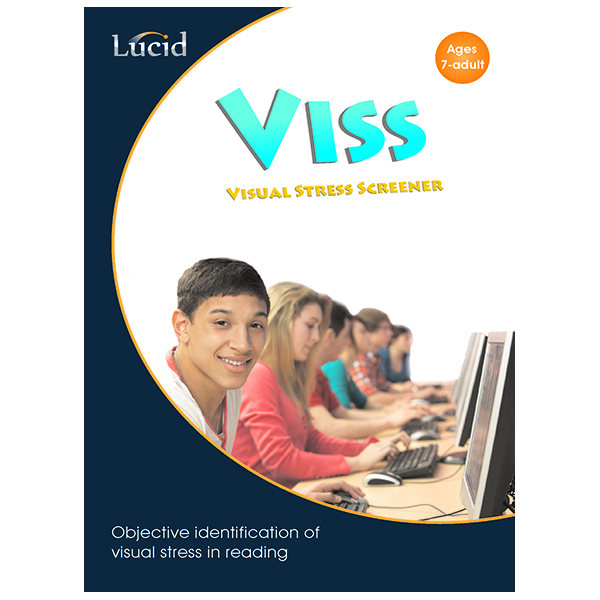 Lucid LADS Plus (Ages 15+) – Real Special Ltd.
LADS Plus is a computerised screening test for identifying dyslexia in members of the general population aged 15+. 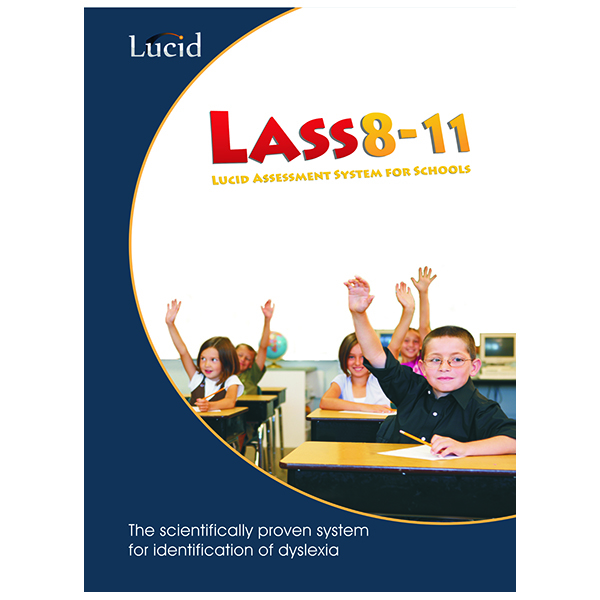 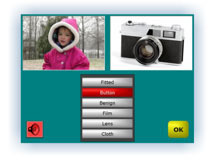 LADS Plus is developed to provide improved screening accuracy in wider populations that may include individuals who have non-standard educational backgrounds, low general ability, and/or poor English language skills. 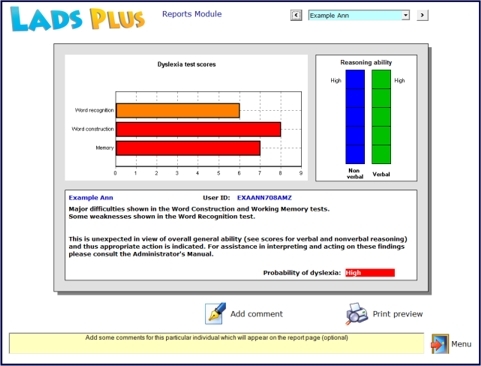 The computer automatically generates a simple graphical report for each person assessed. 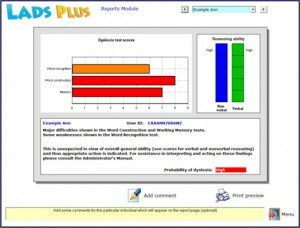 Individual module scores are compared to normative data. 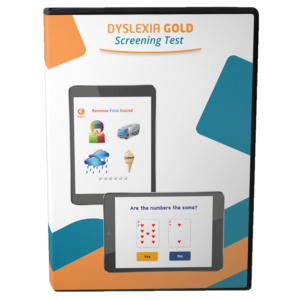 Indications are given of whether or not the scores fall into the dyslexic ‘risk’ category. 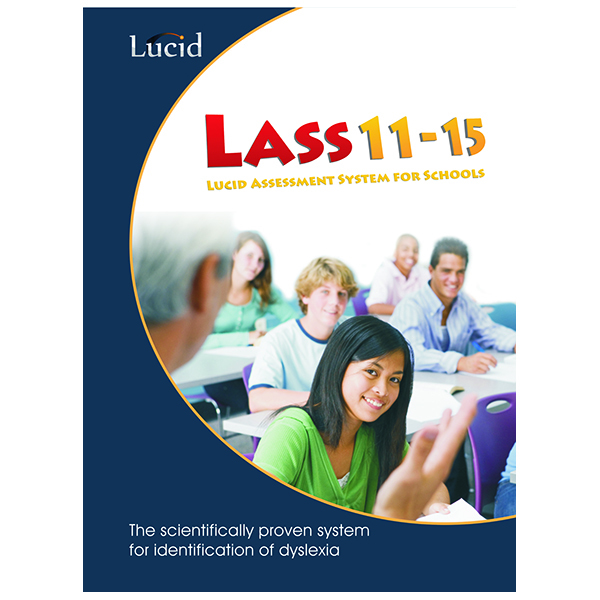 There is ample room on the report for administrators to add their own comments before the report is printed. 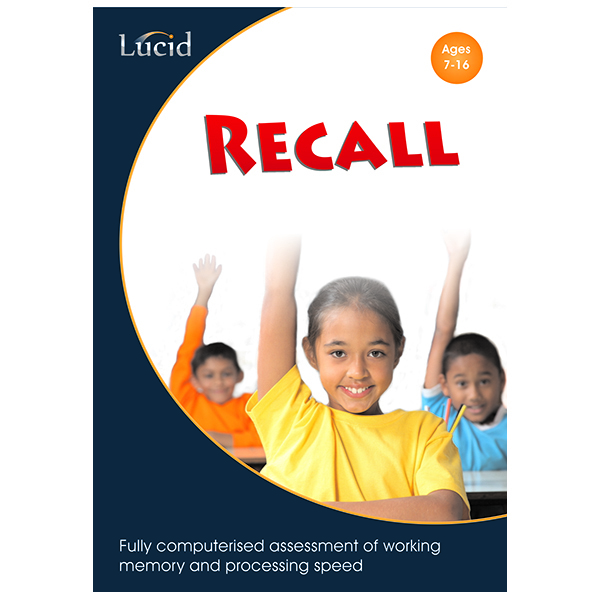 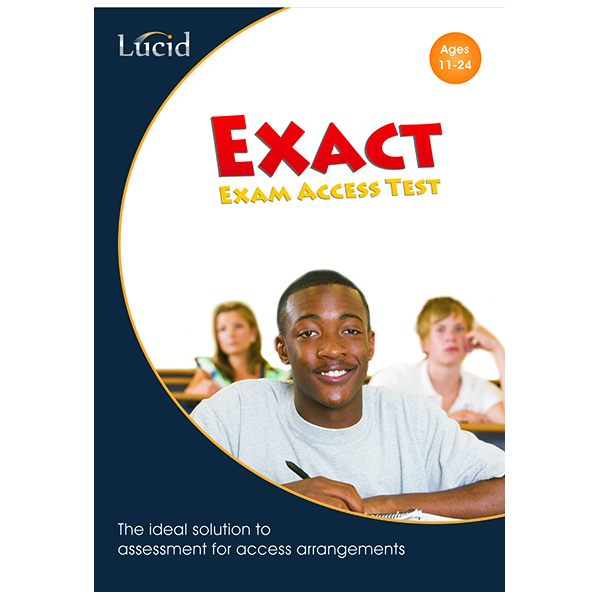 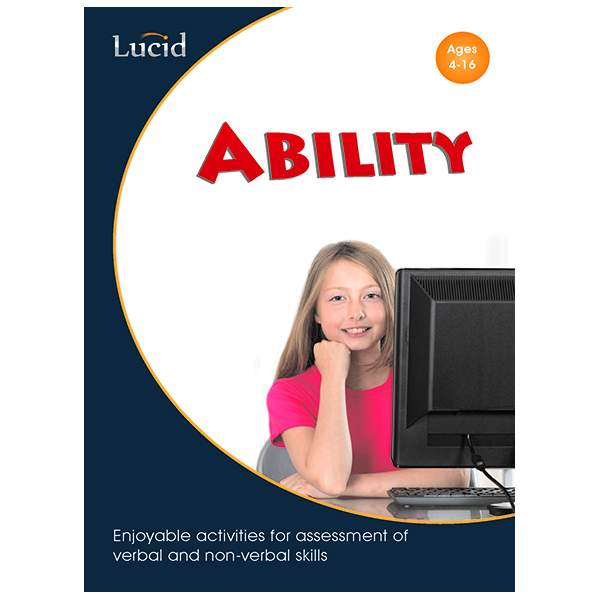 The LADS Plus reasoning modules also provide an estimate of the person’s general intellectual ability, which can be important when giving advice about further action after screening. 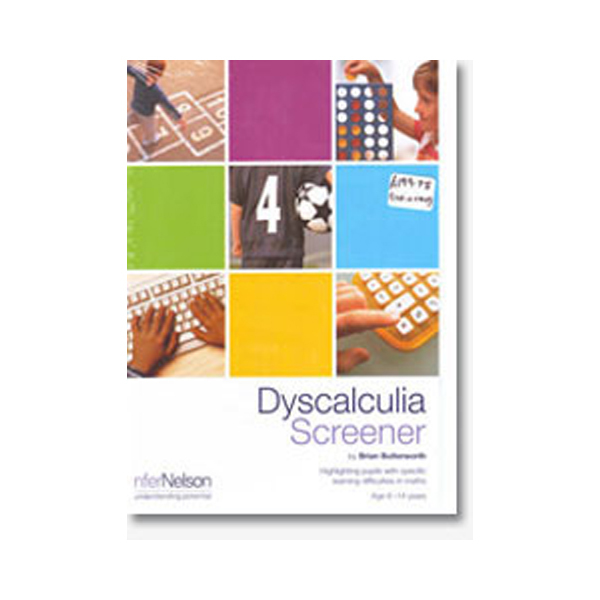 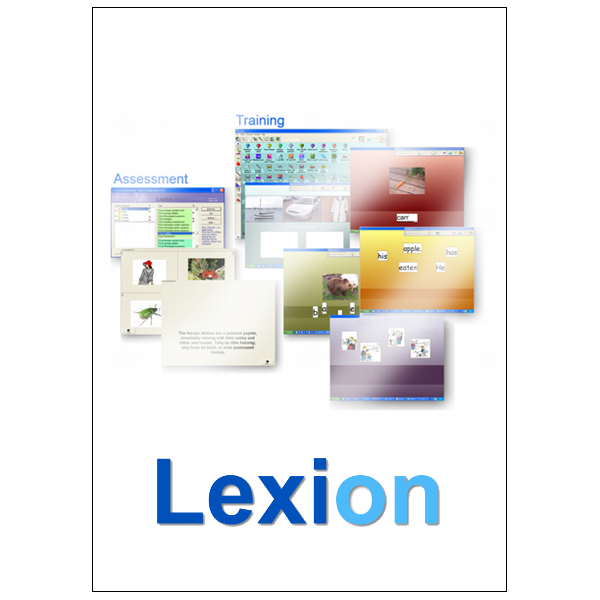 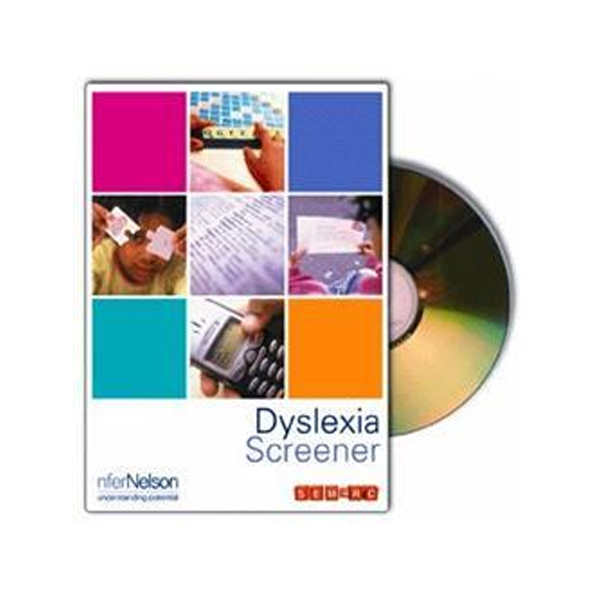 A comprehensive Administrator’s Manual is provided, which gives guidelines on interpreting results, giving feedback and advice on strategies for supporting dyslexic adults in different educational and occupational settings.